What is the deal with Moos, over at Global Groove? Can he read my mind? As I noted here, I had wanted to post the LP Somo Somo, but Moos posted it first. I've been wanting to post another great LP, Super Diamono de Dakar's classic People (Feel One DK015, 1987) for some time, and once again Global Groove beats me to the punch! Seriously, Moos' blog, having been online only a short while, is a "must go to" site featuring all kinds of rarieties from Africa and the diaspora. So, check it out. I have a trump card, though: Euleuk Sibir! (Xippi), the mid-'90s collaboration between Senegal's top two stars of mbalax, Youssou N'Dour and Omar Pene, lead vocalist of Super Diamono de Dakar. In an earlier post I wrote, ". . .I think most people in the know would agree that the three top male vocalists in Senegal are Youssou N'dour, Thione Seck and Omar Pene. To say one of these is 'the greatest' is to miss the point; that's like comparing apples, oranges and kiwis." On reflection Baaba Maal should probably be added to that pantheon also, not that there isn't a flock of other great Senegalese vocalists as well! If you're reading this, I assume you have at least a cursory knowledge of Youssou N'dour and his Super Etoile de Dakar (and if you don't, go here). 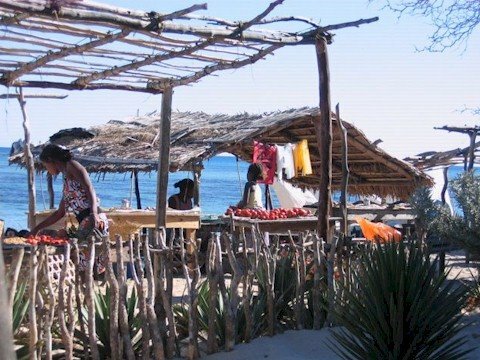 Omar Pène is a lot less well-known outside of Senegal, but he easily approaches N'dour in terms of popularity and sales in that country. He founded Super Diamono in 1975, and has had a number of smash hits with the group in the years since. Pène's lyrics are notable for their concentration on social issues as opposed to the praise singing that characterizes much African music. Youssou and Omar are friendly competitors who each have rabid followings. The Super Diamono sound could be characterized as "darker" and "bluesier" that that of Super Etoile. To my knowledge, the cassette Eueleuk Sibir! is their only recording together, and it's a certifiable classic. But don't take my word for it - hear for yourself! 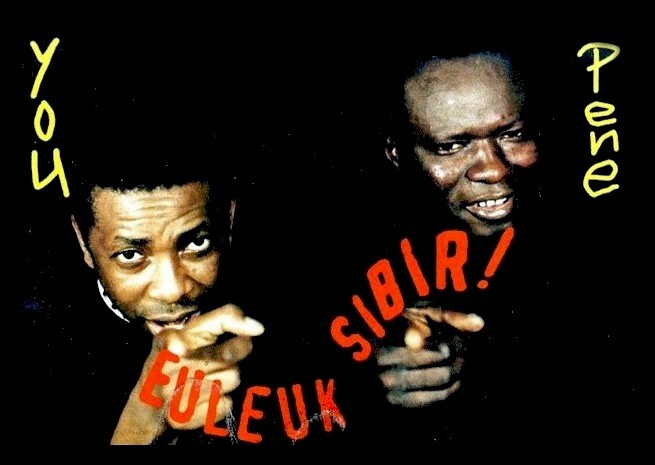 Omar Pène & Youssou N'dour - Euleuk Sibir! You can download Euleuk Sibir! as a zipped file here. This has been out a few days, so you may have seen it, but the latest Village Voice takes note of Likembe and several other African music blogs. It's a fairly good overview, although I and several others have noted that the essential With Comb and Razor blog is totally ignored. Read the article here. 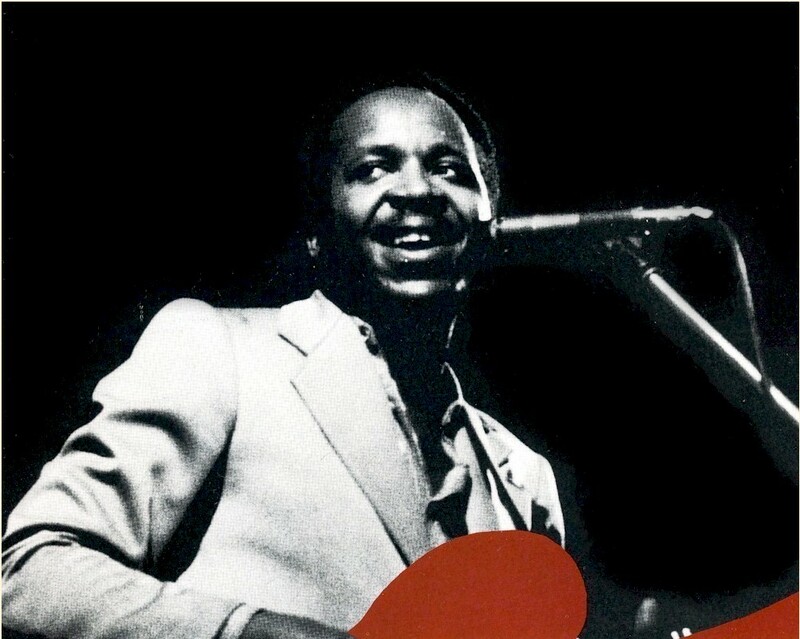 Guitarist Mose Se Sengo "Fan Fan" was a crucial member of Franco's Orchestre TPOK Jazz from 1967 to 1972. In that year he left, and after some time in Orchestre Lovy, founded the first of several orchestras called Somo-Somo in 1974. This band was short-lived, and Fan Fan soon made his way south and east, first to Zambia and then Tanzania, where he played with the legendary Orchestra Makassy, composing some of its greatest hits, notably "Ciska," "Mosese" and "Molema." Moving on to Nairobi in the early '80s , he founded another iteration of Somo-Somo, recording two LPs and several singles with the group. 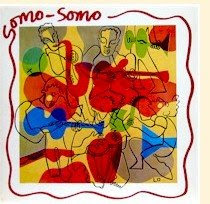 In the mid-'80s Fan Fan ended up in London where he formed a new Somo-Somo band, which recorded a wonderful LP entitled, of course, Somo-Somo (Sterns 1007, 1985, left). What set this London version of the band apart from the earlier incarnations was that, apart from Fan Fan, fellow Congolese N'Simba Foquis and South African vocalist Doreen Thobekile Webster, it was composed entirely of British session musicians. 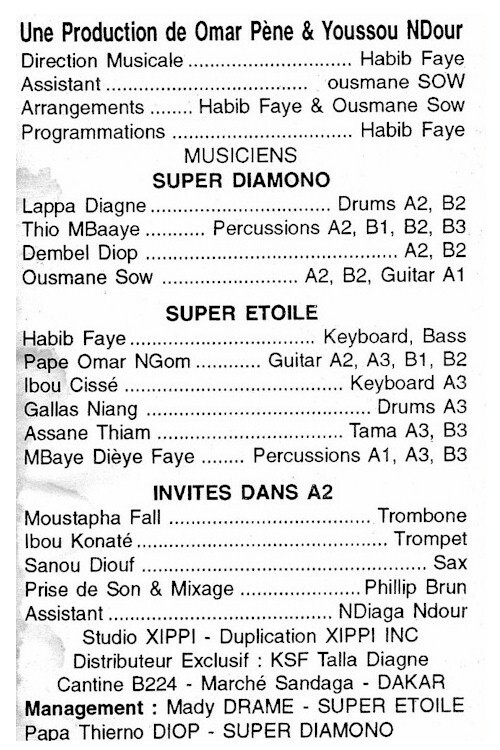 I suppose the line-up of the UK Somo-Somo was more a product of necessity than design (Unlike, say, Paris, there is a dearth of Congolese musicians in London), but the tracks on Somo-Somo, mainly reworks of songs Fan Fan recorded earlier in Africa, have a punchiness and vitality lacking in many of the more formulaic Paris productions. The extensive use of saxophones really sets it apart - talk about making lemonade from lemons! Somo-Somo has long been out of print. For some time I've wanted to digitize it and make it available here, but wouldn't you know? Moos, over at the blog Global Groove, has beat me to it! You can download it here. You can get Pamelo's original here. An excellent overview of Fan Fan's career is available on the CD Belle Epoque (RetroAfric RETRO 7CD), issued in 1994 and available here. Several recent recordings by this consummate professional are available from Sterns. Note: This post was updated on September 20, 2008, to incorporate comments by reader/listener Iman. ". . . Badly mastered? Surely you jest? The cassettes have gone through a rigorous controlled process starting with duplication of the original one track tape from Radio Tanzania, the creation of a cassette master at the Nairobi's Valley Road Pentecostal Church (an actual studio), and then home duplication on Livingstone Amaumo's comsumer grade cassette recorder on blanks from no-name Asian manufacturers. At least that was the process back in 1988. "Since then Livingstone actually uses professional tape duplicators who aren't too bad. The quarter inch tape masters (duplicates) were always a bit dicey but the rest of the process really took its toll. In another message, Doug explains the acronym: "FLATIM stands for (the late) Franklin Livingstone Amaumo and Tido Dunstan Mhando. Tido, former head of the BBC Swahili Service and now head of TUT (Tanzania's state-owned radio and television services), was once Livingstone's Tanzanian partner in FLATIM." 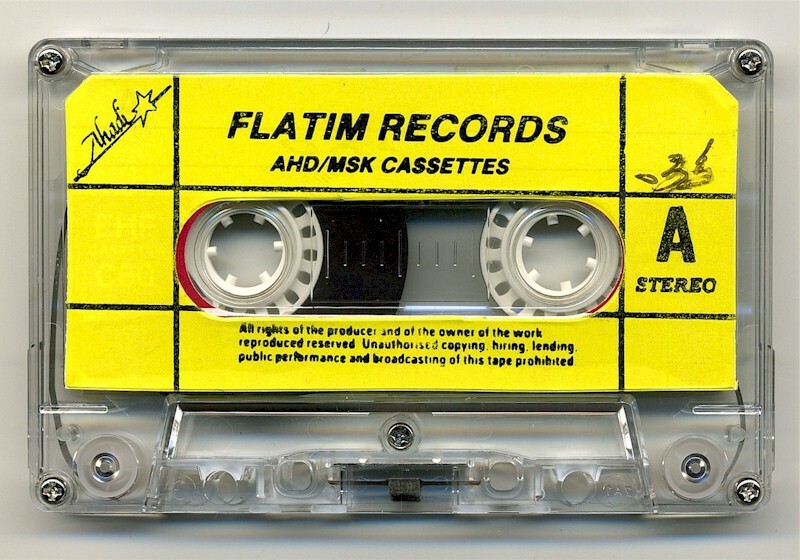 I've always thought the crew at FLATIM deserved major kudos for keeping this music in circulation throughout the eighties and nineties, despite the technical limitations of their work. They put out some amazing stuff, a complete listing of which you can read here. I really can't tell where these bands are from, you are probably correct in your conjecture. They are using words that are beyond my vocabulary and this is not surprising seeing as that us Nairobians are often ridiculed for our poor grammar - it could also be just me. In any case, I have translated the titles as you have posted them and gone a little further with some of them. Here's a heaping helping of nimble guitar work, funky Farfisa organs, and passionate Islamic vocals from the land of the Swahili! In regards to our first song, "Mjamili," Iman writes, "I have no idea what this word means. When I listen to it, it sounds more like 'Mjamali' which I also don't understand! I asked a friend though and he is trying to figure it out. But from the few lyrics I could pick up, he seems to be sad about something. One of the lines I picked up: My heart is burning and you are the firewood." "'Mama wa Kambo' = 'Stepmother'"
"'Pendo Limetakasika' = 'This Love Has Gone Bad'"
"'Nakonda Kwa Huba': Literally 'I am losing weight over love.' This one is actually kinda funny and sad at the same time! My favorite of the bunch. He is basically saying: 'All the wrongs you have done me make me laugh and really shock me. Remember how good our love used to be? I believed you when you said you loved me and now it seems like you have grown tired of me. Have you no God? How can you harass me this way? I am a fool for your love. I am hungry for your love.'" "'Ewe Wangu Nateseka': 'My Love, I am Suffering.' Her lover has left and she is asking him to return soon. "'Moyo Hukipenda Hula': 'The Heart Wants What it Wants' (even if it is bad). Something close to 'I can't help what I love.'" 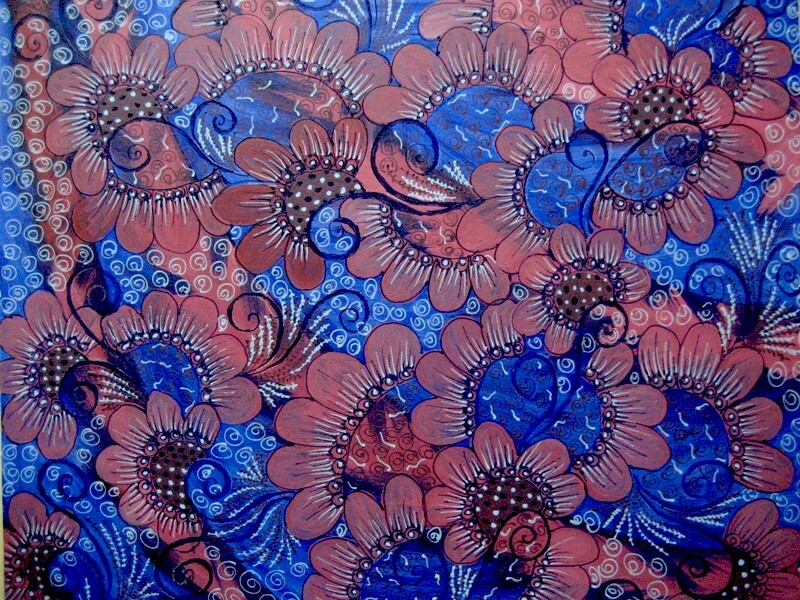 The artwork at the top of this post is from the website Zanzibar Henna Art. The site is a bit rudimentary now, but hopefully it will be updated soon. Browse the site, read about the artists, and consider buying the set of postcards that is available. Today marks one year since Likembe first went online on August 9, 2007. One thing I've discovered in a year of blogging is that it's a lot harder than it looks! It's been a lot of fun, nonetheless. I've made a lot of new friends and rekindled some old friendships and gotten out a lot of great music. My biggest regret is that I just haven't had time to digitize more stuff and put it online. While it's no surprise that Somali Mystery Funk made Number One (if barely), the inclusion of Mali Cassette Grab Bag: Djeneba Seck, Tata Bambo Kouyate, Naïny Diabate, Yayi Kanoute, Djamy Kouyate on the list is a revelation, as it generated zero comments when I first posted it! 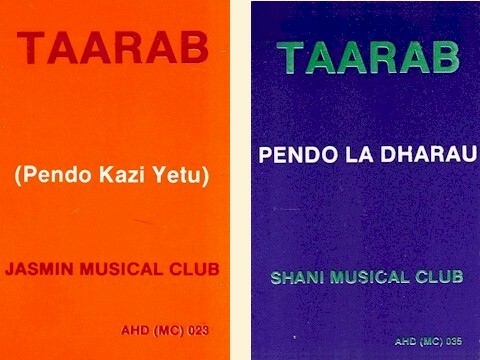 There must be a lot more fans of Sahelian female vocalists than I'd realized! Keep in mind that by its nature this list favors older posts, otherwise I'm sure Memories of Oliver de Coque would have made the cut (it's number one in the rankings for July 2008). No big bombshells here. A lot of people would be surprised that Colombia made number 7, but I'm not (a lot of major African music fanatics down that way!) Every country in Africa is represented, save Libya, Chad, the Central African Republic and Western Sahara. 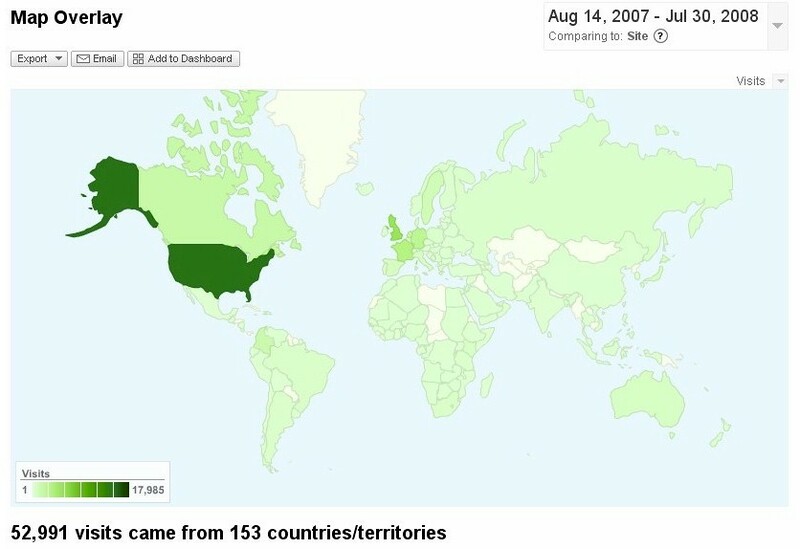 A surprise for me has been the number of visits from Somalia (71), given the state of unease in that country. From the very beginning there has been a small but steady stream of visitors from the Middle East, notably the Persian Gulf countries. Starting in October, when "Likembe" was linked on a Russian-language blog, there has been regular traffic from the former Soviet Union. Mainland China has just started to log in as of July (26 visits so far). Mad props to those blogs who inspired me to get this thing going: Benn Loxo du Taccu, Matsuli Music, With Comb and Razor, Aduna, Steve Ntwiga Mugiri and Voodoo Funk, and a big shout-out to the sites that have debuted in the last year: Africolombia, Afrocaribe, African Music Treasures and Orogod (hope I didn't leave anyone out!). Now, if I may ask for a few moments of your time, I'd appreciate some feedback about the site: what do you like about it, what don't you like, technical suggestions, what sort of music you'd like me to post in the future, etc. And if you're so inclined, tell us about yourself: where you're from, how you heard about the site and your interests. Be as brief or as wordy as you'd like. Our friend Aduna is back from Madagascar with un petit cadeau, "Tulear Market Mix," eleven nuggets of wailing vocals and frenzied guitar-picking from that city in the southwest corner of the island. You are wholeheartedly encouraged to download it here.